We are a thought leader who creatively package promotional product solutions for your specific needs. Yes, we are in a competitive business like yourself. So, we have ensured that you receive more value for the same amount of money you might spend elsewhere. We pride ourselves on our philosophy. First, we do not provide trinkets or items that will lose their value and meaning over time. We create one-of-kind solutions that are as unique as your business is to you. They generate excitement when they are received, loyalty when they are looked at, and appreciation towards the company who gave it to them. 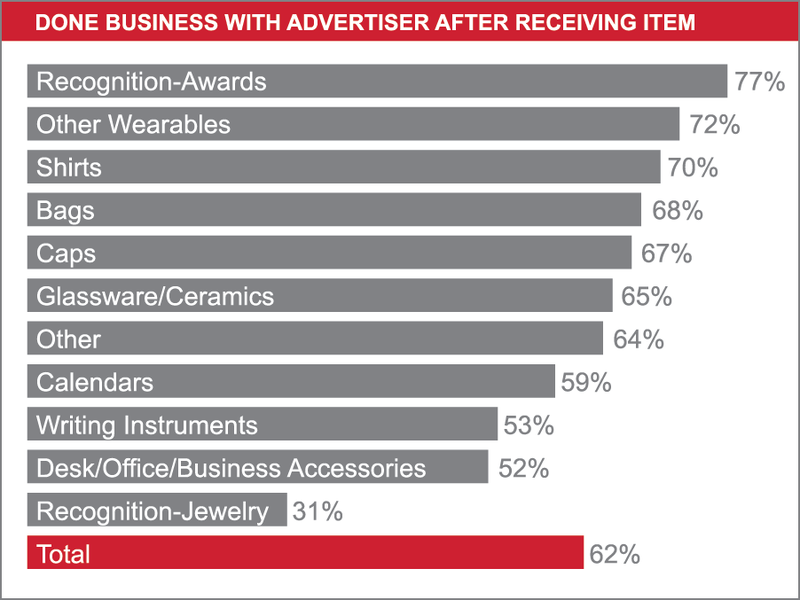 Promotional products are not just an expense line on an annual budget. They have a valuable return on investment. Here are the proven numbers! 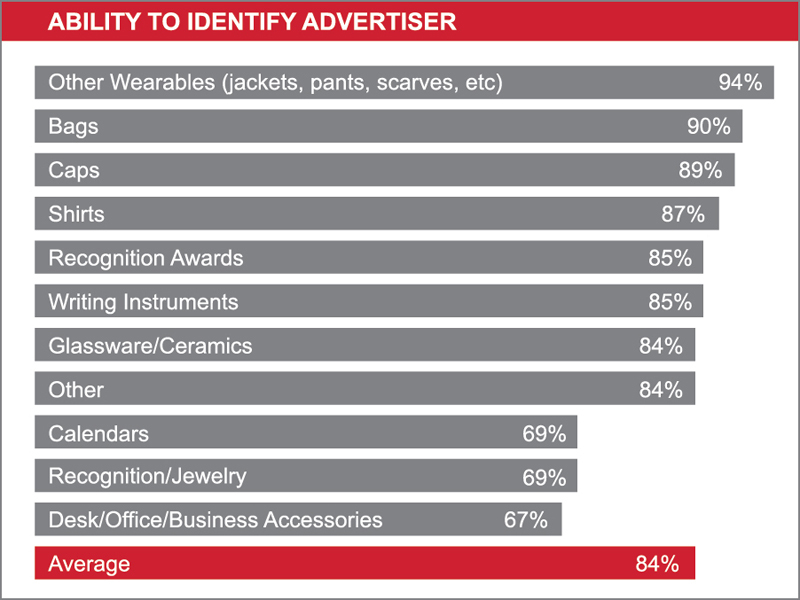 Promotional items are the most cost-effective way to advertise. 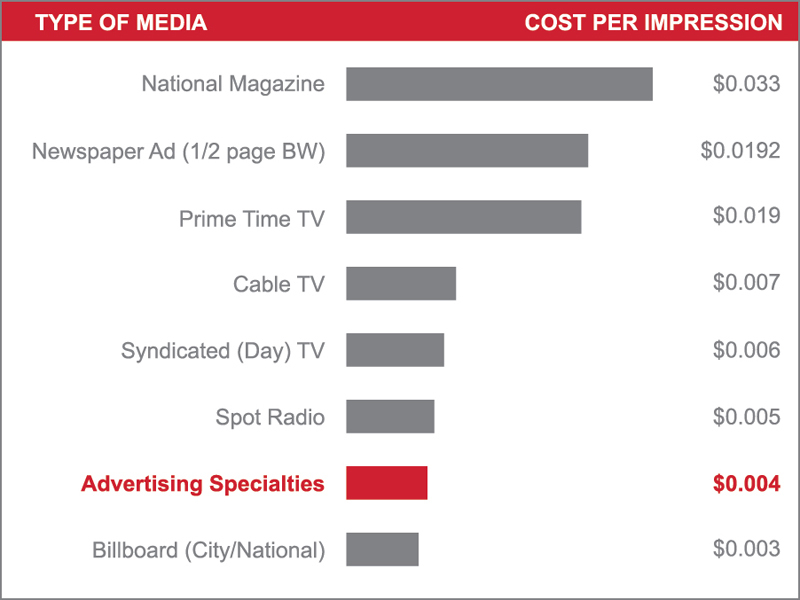 The Cost-Per-Impression of promotional items is a fraction of media advertising. Your satisfaction is our number one goal. So, we are continually measuring what are customers think about us and their experiences. In addition to customer satisfaction surveys, we use an independent research organization to validate our performance. Here are the latest overall study results of important performance categories as rated by our clients. We have had the privilege of helping thousands of customers provide millions of promotional items to their valued employees, customers, and business partners.